Looking for a last minute Alaska adventure? Then look no further than a luxury voyage with Azamara Club Cruises. For a limited time, Azamara are offering fantastic reduced rates* on a selection of last minute Alaska cruises. Plus enjoy US$500 shipboard credit per stateroom* exclusive to Cruise Guru. View applicable Last Minute Alaska cruises below, or view all Azamara cruises from Australia, visit Azamara Cuises for more options or use our Cruise Finder to search for your perfect Azamara itinerary. Alternatively, review all other cruise deals. *Terms and conditions apply. Prices shown are per person, twin share in AUD inclusive of all discounts, taxes & fees. Prices are as categories as specified. Prices are subject to change and availability. Once the lead in the stateroom is sold out, prices may increase to a higher fare, or be withdrawn without notice. 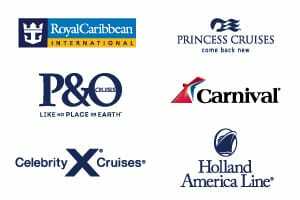 Cruise line offers are valid for new bookings only and are not combinable with any other offer. Oceanview staterooms and balcony staterooms may have obstructed views. The discounted fare will reflect in the final booking screen. Offers are not combinable with any other offer unless otherwise stated. Sailing itinerary may vary from what is shown. Itinerary changes are at cruise lines discretion. All offers are subject to availability and may be withdrawn at any time without notice. Cruise Guru reserves the right to correct any errors inaccuracies or omissions and to change offers, fares, and surcharges at any time without notice. Additional surcharges will apply to dining reservations made at any of the ship's specialty restaurants. Some onboard entertainment will have a participation charge, please contact guest services on board for full details. Included in the cruise fare are selected beer, wine, spirits, coffee and tea and selected bottles of water. Premium bottle of water (eg Evian, San Pellegrino etc package) and premium spirits are not included. Gratuities to stateroom attendants, dining and bar staff are included. Azamazing Evenings are included on all voyages except Transatlantic crossings and voyages that are less than seven nights long. Credit card fees are not charged for deposit payments via Visa or MasterCard. Final payments will incur a 1.3% merchant fee via Visa or Mastercard. American Express incurs a 2% merchant fee for both deposits and final payments. Last Minuet Savings offer: Guests will receive a stateroom in their elected category class (Interior, Oceanview, Veranda or Suite) at a discounted rate. Offer is capacity Controlled. A limited number of staterooms have been set aside at this pricing, once that number is reached the offer may be removed or the pricing increased. Stateroom requests cannot be taken for guarantee bookings. Stateroom will be assigned at the discretion of Azamara Club Cruises. Azamara Club Cruises reserves the right to make stateroom assignment changes up to 48 hours prior to departure. Bonus shipboard credit offer: Bonus US$500 shipboard credit offer is in USD and cannot be redeemed for cash or used for further discount off cruise fare, may be used for onboard services only and any unused credit will be forfeited at the end of the cruise. This offer is not combinable with any other booking incentive, offer, or promotion. Last Minute Value bookings must be paid in full at the time of creation. Offer is not combinable with most other offers, price codes, promotions or discounted rates unless otherwise specified. Offer applies to select sailings only and further terms, conditions and exclusions apply. Valid until 30 April 2019. All offers are subject to change, and may be withdrawn at any time without notice. Any changes made to the booking after deposit payment may result in the removal of the offers. Azamara reserves the right to correct any errors, inaccuracies or omissions and to change or update fares, fees and surcharges at any time without prior notice.